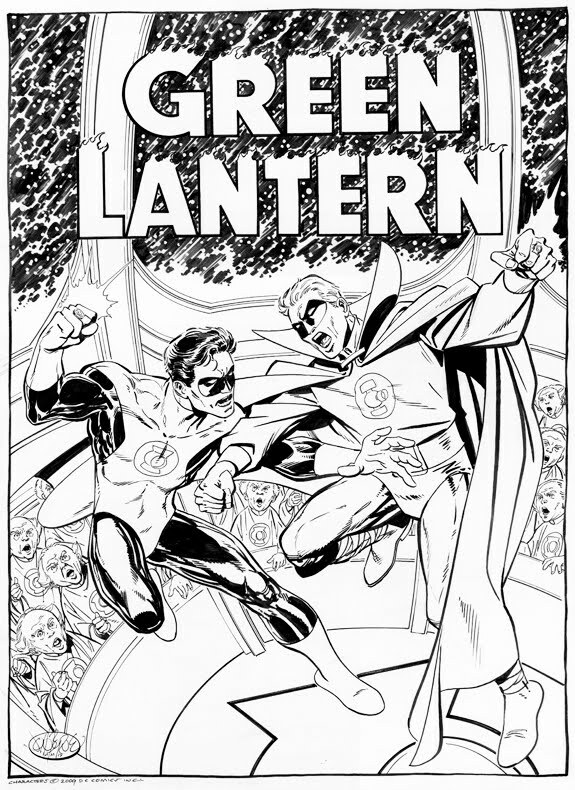 Original cover by Gil Kane and Murphy Anderson; DC 1965. John Byrne's website is here. If you would like to commission a drawing from John, contact Jim Warden at capshockeyfan at yahoo dot com. It's pretty exciting to see my childhood hero John Byrne on this site. I'd love to see your take on a comic like Asterios Polyp or an old Dan DeCarlo Millie the Model cover. 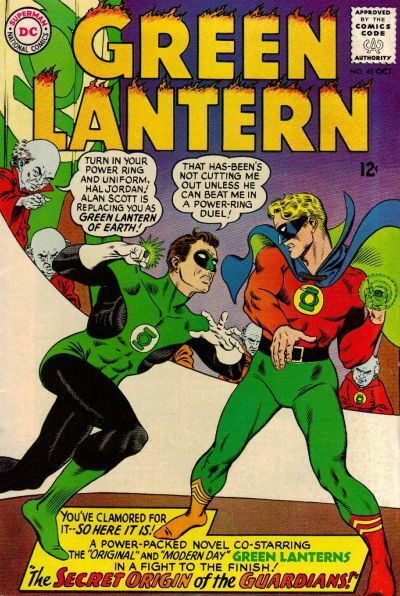 Your GL cover's really nice. This is a pretty decent cover. Much better than the average commission that "JB" churns out these days. Did he actually agree to having this posted here? This site goes against so many of his supposed ideals. I actually think Jim's is better than the original. I think it's much more dynamic, making the speech bubbles redundant. This Jim Byrne guy is pretty good. He could maybe even get some work at Marvel or DC. I'd love to see him try an X-MEN or SUPERMAN cover. It would be great to see John Byrnes take on a Uncle Scrooge cover. I'm with Jimmy and Anthony in that I would love to see his take on something non-superhero or even kind of freaky like a Gary Panter cover or Lewis Trondheim. 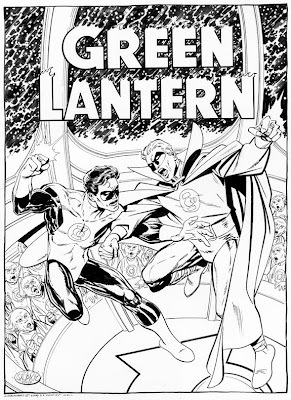 I came across this Green Lantern commission he did when I had to find his website for another cover entry. I asked (through contact Jim Warden) if he would mind if I posted it and to my delight he said yes. The reason I started dreaming of drawing comics myself was his run on Fantastic Four in the 80's. In fact, the first cover I "covered" was Fantastic Four 243 at the age of 12. I still love that comic. I think John Byrne is better sticking with this style of dynamic kicking and punching. And those awesome bottom teeth! I saw a Herbie (Fat Fury) comic he drew once, and it wasn't pretty (or funny). But it is great to see him contribute this cool drawing to COVERED. This artist was my No. 1 when I was in that Marvel Comics demographic (9-12).